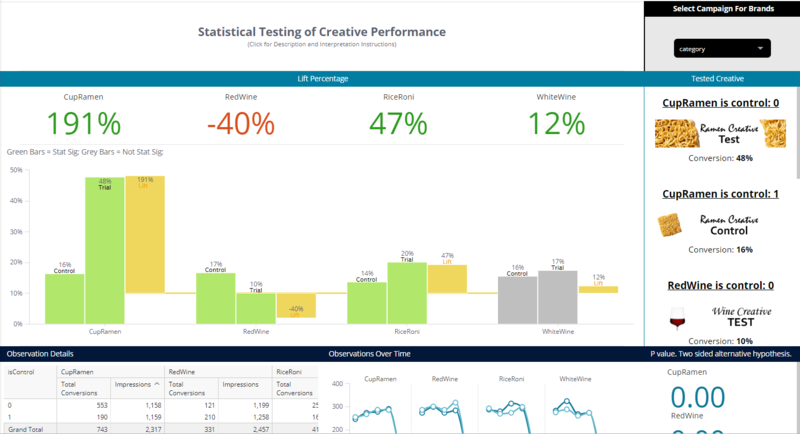 This dashboard assists marketers in determining if an alternative creative's good or bad performance, in terms of lift, is attributable to chance by performing a Pearson Chi-Squared Test on two competing creatives. It does not perform a power test for establishing the minimum sample-size requirement and consider type II error. R integration powers a prop.test() function that generates the p-value. Compare the performance of two competing creatives and determine if differences in results can be attributed to chance. 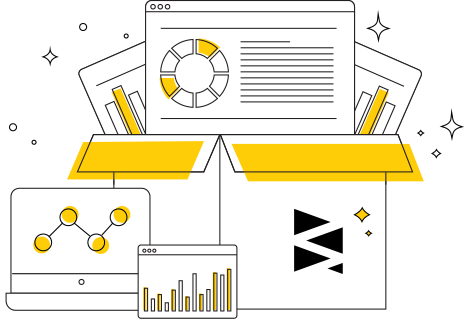 The following resources will enable you to design your dashboard and data model with sample data and then apply it to your own data. Note that you will need to have a previously installed version of Sisense (you can use the free trial version if you’re not a customer).